Established in the 1800’s, the VPO brought the world some of the most skilled musicians it has ever seen, and still stands as the culmination of many musicians life’s work. 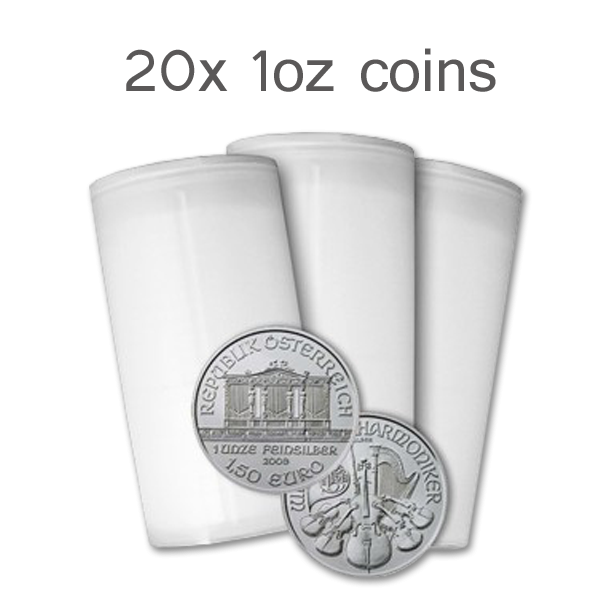 Here you too can honor that work by possessing 20 1 Oz Austrian philharmonic coins in 38mm of some of the world’s purest silver. 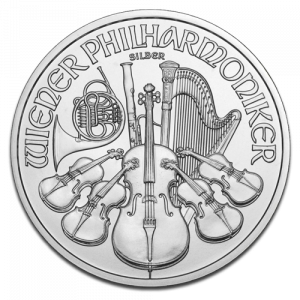 The Vienna Philharmonic Orchestra has brought elegance and prestige to the country of Austria, and indeed to the world. 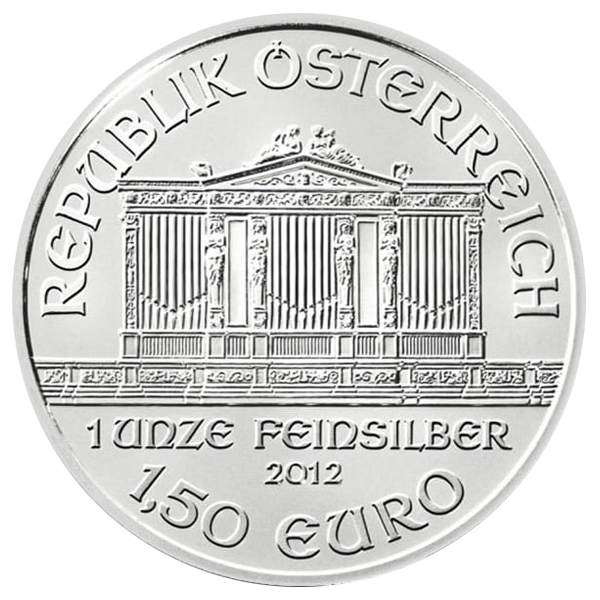 Likewise this bullion silver coin has brought prestige and recognition to the Austrian mint that envisioned it. 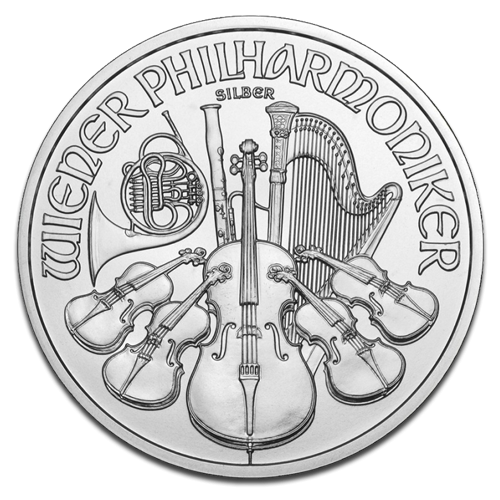 On the obverse of the coin can be observed an elegant and detailed engraving of the Musikverein Golden Hall in all its stately glory, on the reverse can be seen the flowing lines and delicate strings of the instruments that form the orchestra, envisioned by the skilled hand of Thomas Pesendorfer. 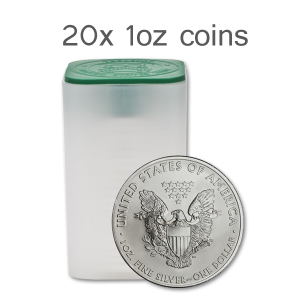 Its 38mm diameter is encircled by a 3.2mm smooth edge, and will serve as an excellent addition to any numismatists collection, or as another addition to the silver investors’ security. 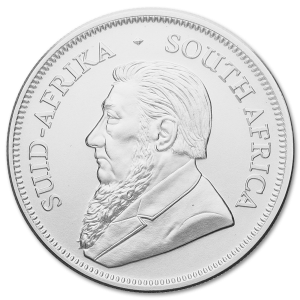 Thomas Pesendorf served as the Chief Engraver of the Austrian Mint, and during his time was destined to bring great prestige and honor to the firm. 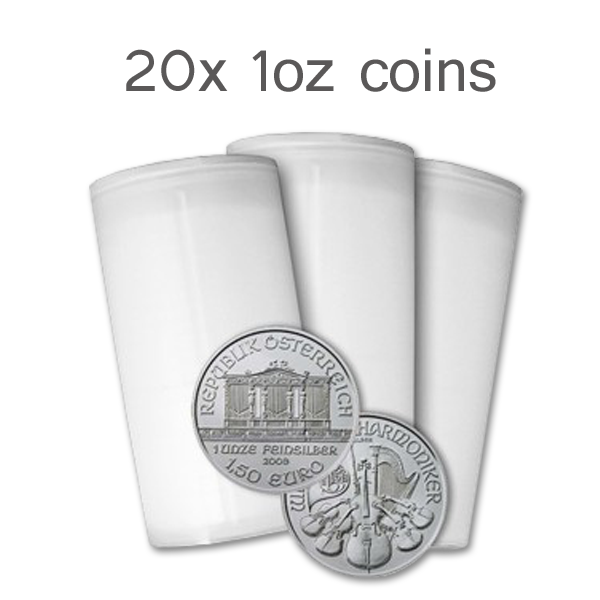 Part of that prestige was due to the design and minting of coins of such inestimable beauty as these, the first bullion coins to bear a Euro denomination. 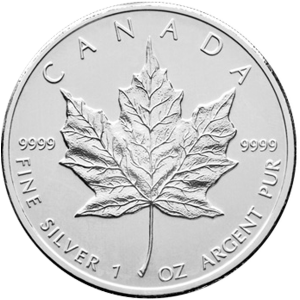 For such fine craftsmanship the coin was given a prestigious award, and now the Mint is seen as a world leader in coin production and design. The Musikverein Hall is to the lover of Orchestra what the great halls of the Alexandrian Libraries were to lovers of knowledge and literature. From its halls came the Vienna Philharmonic Orchestra, an orchestra known both for its excellence, and it’s incredibly strident requirements for even attempting to apply to join it. With a three year probationary period during which a performer must prove his muster amongst other orchestras and ballet’s, the musicians who perform there are without a doubt the world’s best.